WordPress Ecommerce Themes, Plugins & Blog! WordPress is probably the best platform to launch the eCommerce enterprises – the most user-friendly interface, higher level of customizability and powerful support. WooCommerce plugin brought about revolutionary changes in the process of making eCommerce websites, it’s no longer a complicated task like before. Undoubtedly, WooCommerce is one of the most popular eCommerce technologies on the web . Nowadays,with the rise of the internet, online trade or online shopping is at the peak. No doubt, online stores are getting a huge number of customers than the general stores. Online shopping gives more choice, saves the time, you don’t have to stay in long queues, you can shop at any time and there are many more other benefits. Therefore, eCommerce websites are getting more popularity these days. If you have planned to create an eCommerce website, you have tapped in the right place. I have enlisted the best free eCommerce WordPress themes FREE with responsive design and awesome functionality. The themes are fully responsive and created with deep WooCommerce integration to help you add all the functions and features you may need in your online shop. AccessPress Store is a complete free eCommerce WordPress theme ideal for any kind of online store. It comprises modern premium-like features, elegant design, and awesome usability. It has a deep integration with WooCommerce plugin which lets you add unlimited products and product attributes on your website and also it has got maximum WooCommerce settings. You can completely change your website’s outlook and features using its cool easy to use Customizer tool. It’s SEO friendly, fast loading, and full of stunning feature which is sure to attract many visitors. 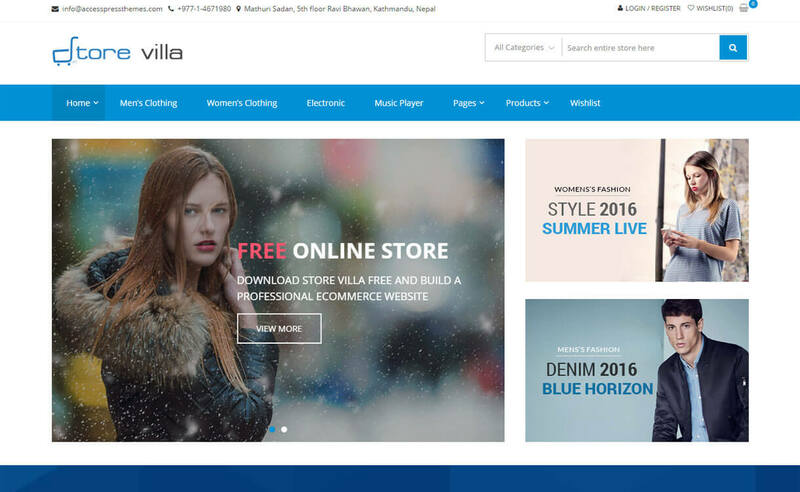 StoreVilla is feature rich free eCommerce WordPress theme designed to create fashion, digital, jewellery, cosmetics stores online. It is based on wonderful WooCommerce plugin and its extension to run your online store smoothly and effectively. The theme is easily customizable with fast loading speed. All the WooCommerce settings are enabled in the theme so you can add easily add products and feature them. Its unlimited slider options, multiple homepage layouts, configurable background and many other exciting features have added more beauty to it and made it a perfect one. Storefront is a clean and flexible free eCommerce WordPress theme developed by WooCommerce Core developers. It has deep WooCommerce and WooCommerce extensions integration. It has got color options, multiple layouts, multiple widget region and much more exciting features to make your website better than others. It looks good on all devices and runs effectively. It’s lean and extensible codebase won’t let you have any problem to customize and extend your website. EightStore Lite is an incredible free WordPress theme for eCommerce websites that allows you to create your online store easily in no time. It is a clean, feature-rich theme that comes up with Customizer panel – that lets you explore your creativity and create a unique online shop. It allows showing blogs and testimonials in the slider of the homepage. The theme functions well in all available devices and is compatible with all major browsers. It has deep WooCommerce integration to promote your online store in the better way. TheShop is a responsive free eCommerce WordPress theme especially designed for online stores. It is minimalistic, lightweight yet powerful theme compatible with the popular WooCommerce plugin and follows WordPress best practices. With its easy setup within a few minutes, you can start up your online store. It has got a custom front page, fonts and color options, two menus, a slider for your header and many more which helps to personalize your website. It allows you to live preview every change, configuration that you have made. 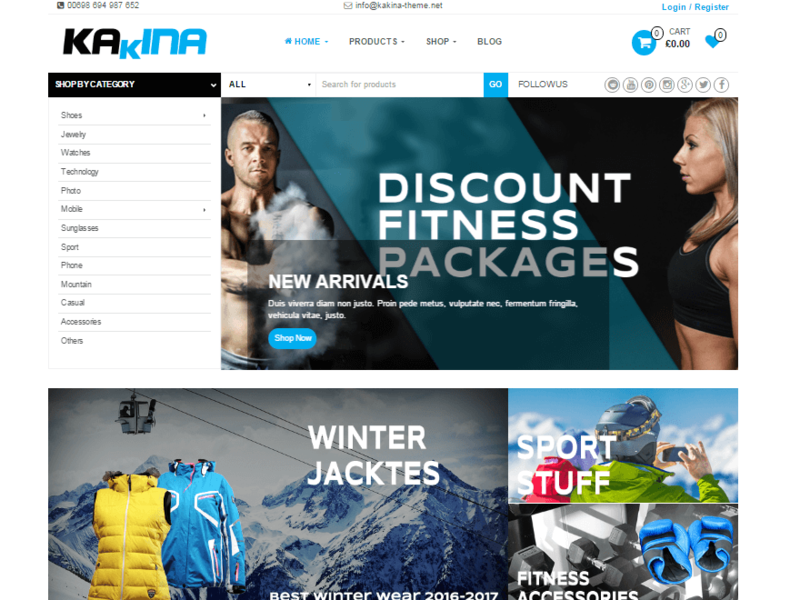 Kakina is a stylish eCommerce WordPress theme that is absolutely free. It is the ideal choice for your online fashion store, sports store, digital store, accessories stores and other multipurpose online stores. It comprises all the features to let you built a complete eCommerce website. 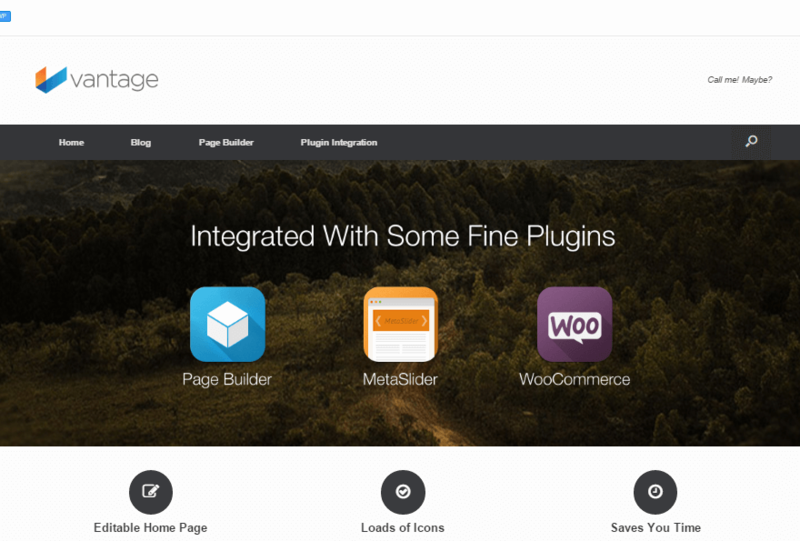 It is user-friendly and fast loading theme with popular WooCommerce plugin integration. This responsive theme contains cool WordPress Customizer tools that offer various options to make your website the way you want. Azera Shop is an elegant free WordPress theme suitable for eCommerce websites. It looks great for creating a one-page online store- which is simple and reliable. It is compatible with the popular WordPress plugin – WooCommerce. Also, it is WPML ready that allows you to create your WordPress in any language you want. It has flat and simple SEO friendly design with parallax effect and full-screen image gives a great working experience. The theme looks stunning on any device and is easily editable using simple codes provided. 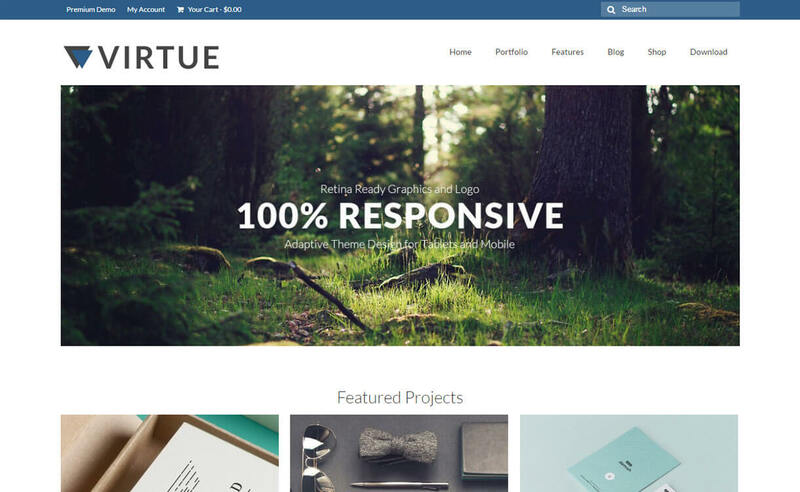 Virtue is a versatile free eCommerce theme for WordPress. Its deep integration with the WooCommerce plugin offers all the tools required to build an awesome online store. 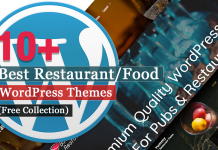 Though it is a free theme, it comprises plenty of premium like options. It is built with a powerful theme options panel that lets you set up home layouts, sliders, fonts etc. It allows you customization of your website’s outlook complete without writing any CSS. The theme is translation ready – easily translate the theme into any language you want. Shophistic Lite is an elegant free eCommerce WordPress theme perfect for the online shop. Its beautiful animation and pixel perfect design let you create a complete eCommerce website that is equally beautiful and powerful. It supports the powerful WooCommerce plugin. It offers you to create & upload your own brand logo to personalize your website. It offers unlimited options to make your website as you like. Its responsive layout fits perfectly in the different device and won’t degrade your working experience. 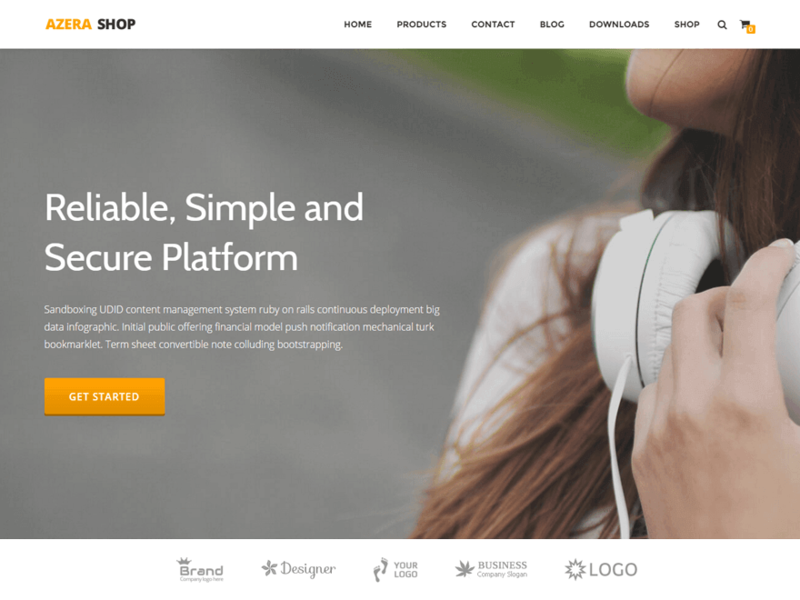 Shopera is a clean free eCommerce WordPress theme. It is a right choice for those who are thinking of fully functional eCommerce store.It is Customizer based, fully responsive theme with WooCommerce integration.It gives a fascinating outlook for any kind of web shop. It comes with fine documentation that will guide you the simple and easy way to create an awesome website. Its comes up with theme options panel which enables you to configure your website completely in no time. It has got RTL language support and compatible with YITH and WPML. Seller is a popular free WordPress theme designed for eCommerce websites. The theme is a complete package for starting a perfect online shop. It is built upon Redux and Bootstrap framework and is well suited with WooCommerce plugin. The theme also provides easy guidelines for setting the theme and using it. 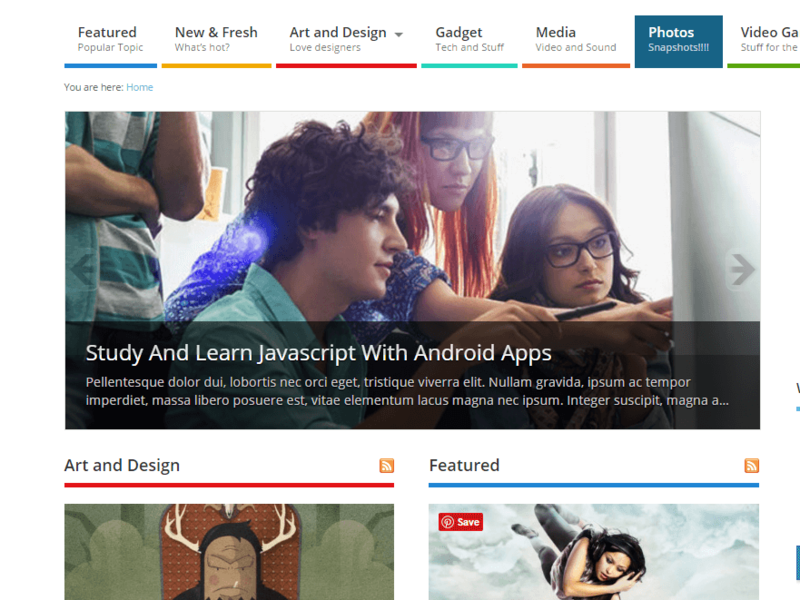 It supports featured image and stunning animation effect which makes you theme more attractive. It is a responsive and easily configurable theme with fast loading speed. 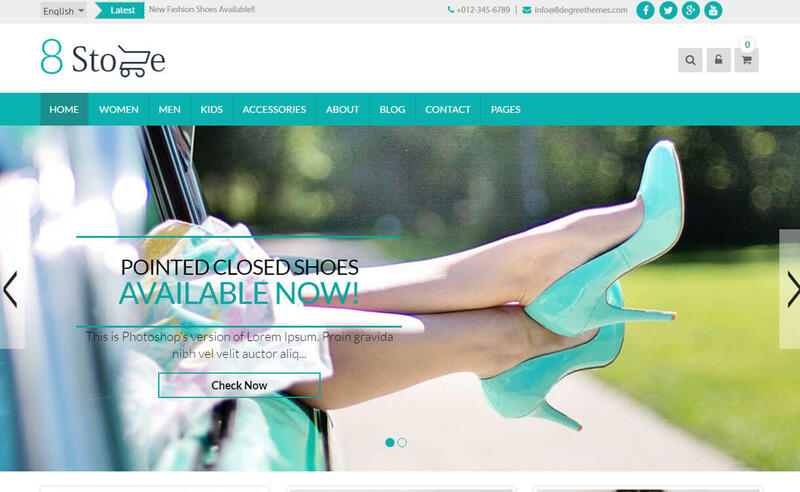 Vantage is a modern free WordPress theme suitable for eCommerce websites. It is a feature-rich theme with limitless flexibility- you can do anything with it. It fits nicely even on the small screen without any problem in performance.It has wide integration with most popular eCommerce web platform- WooCommerce plugin. Another best feature of Vantage is visual CSS editor which allows you to change the overall design of your site in no time. It is’ quick, secure and easy to set up web stores with this theme as it provides support and capable documentation. 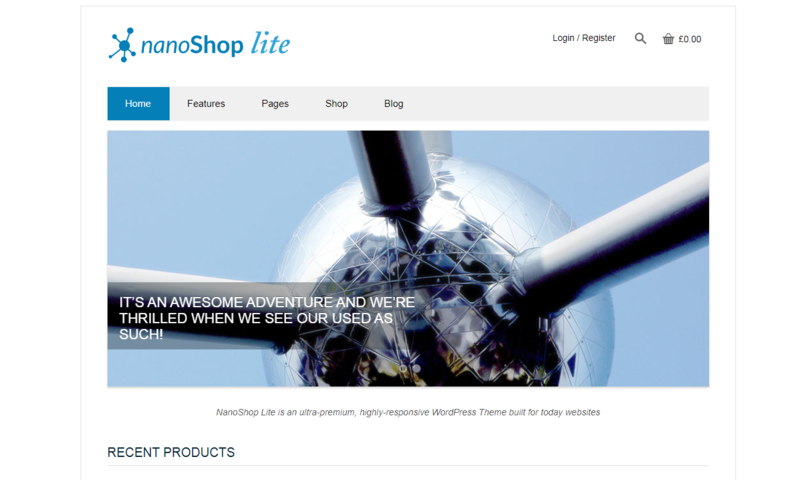 NanoShop Lite is another responsive free eCommerce WordPress theme with a modern clean design. It is a simple, lightweight theme with exciting features that builds a complete eCommerce website. It follows best SEO practices and compatible with leading SEO plugins. It presents things more beautifully on retina displays.Its stylish design and awesome features are sure to draw huge traffic for you. 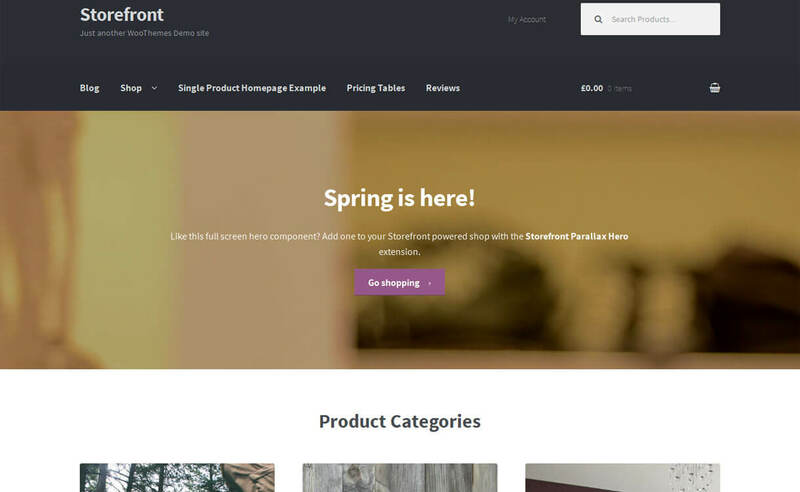 Square is a flexible free WordPress theme for the eCommerce websites. It is compatible with all major browser and works fluently in any devices. It comes up with awesome WordPress Customizer tools that enable you to customize with instant live preview. 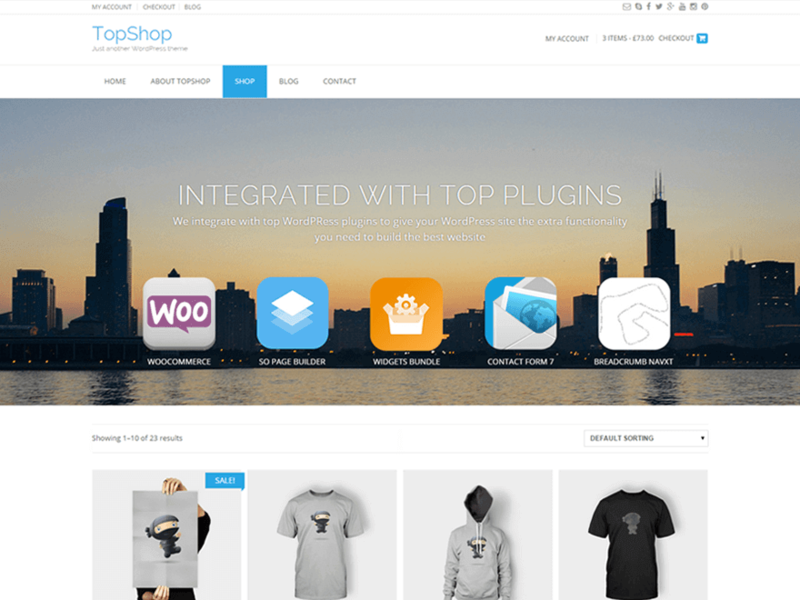 It has powerful WooCommerce plugin integration to upgrade your online shop. Also, it has got beautiful elastic card gallery where customers can view your product images with short descriptions in an interesting way. MesoColumn is an amazing free eCommerce WordPress theme.The theme supports WooCommerce and Jigoshop plugin to sell your products online. Its responsive design is compatible with devices like desktop, laptop, tablets and mobiles. The theme has 6 banner advertisement placement options in the sidebar to monetize your site. its unlimited color option, customizable header, background, and menu allow you to configure them as per your wish. 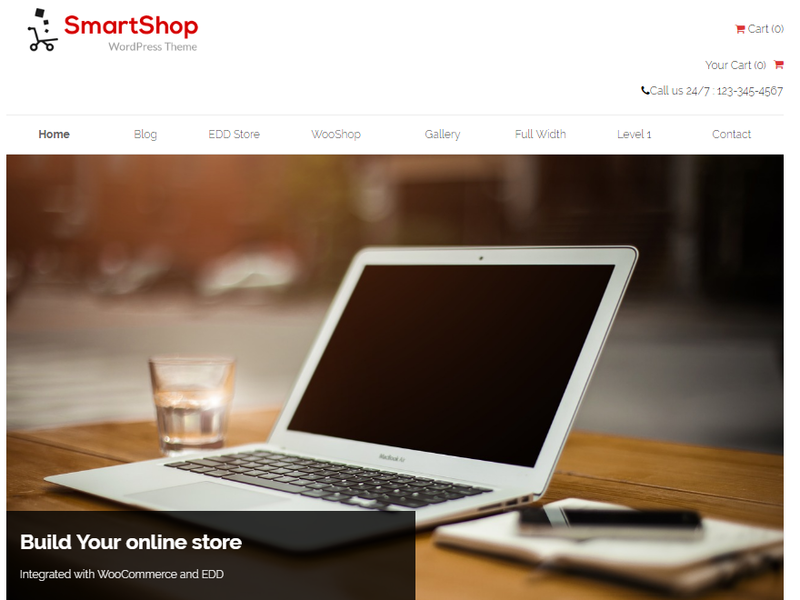 SmartShop Lite is a responsive free WordPress theme for the eCommerce website. It supports Easy Digital Downloads & WooCommerce plugins. It is best for the online store to sell digital and physical products. 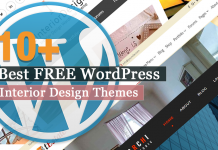 Although it is a free WooCommece theme, it has got plenty of premium like features. It allows displaying featured products on the front page. 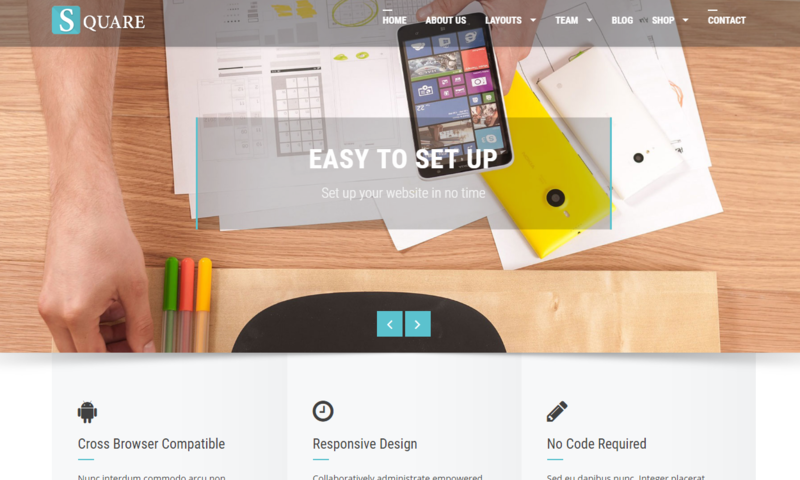 It has got amazing custom store page template for EDD along with page title and description. eStore is a creative free eCommerce WordPress theme with clean, beautiful and looks stunning in any screen size.It is integrated with best ever WordPress Plugin like WooCommerce and YITH WooCommerce Wishlist that helps to upgrade your online store and give it a professional and well-organized look. Its well-organized design and a complete feature package have made everybody fall in love with it. It follows best SEO practice and adapts well to all screen size. You can customize the design, setting and features as you like and instantly live preview all the change you have made. 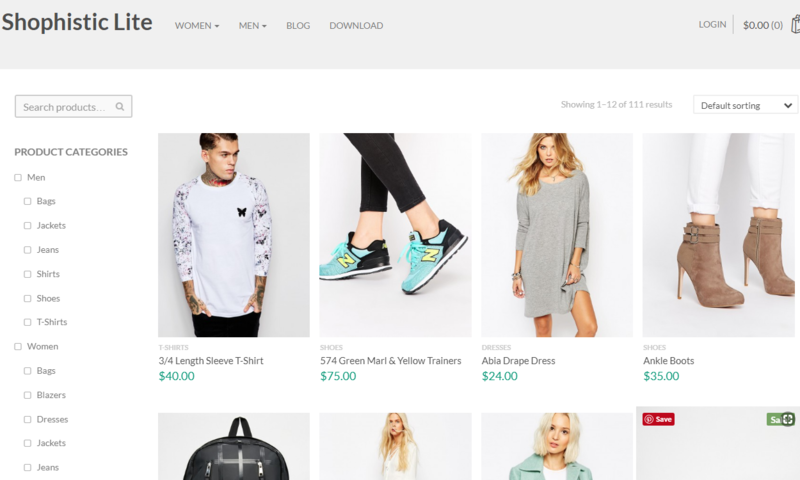 TopShop is an elegant free WordPress theme for the eCommerce website. It is a perfect choice for online store beginners. It is designed to be simple, beautiful and meet all requirements of a complete WooCommerce website. It is minimal, clearly coded, easy to use theme built in with WordPress Customizer tools. Beside WooCommerce plugin, it has integrated with some other best plugins like SiteOrigin’s Page Builder, Meta Slider and many more to decorate your website more beautifully and make it a perfect one. Undoubtedly, WordPress is the best open source CMS platform for creating multipurpose websites including eCommerce sites. 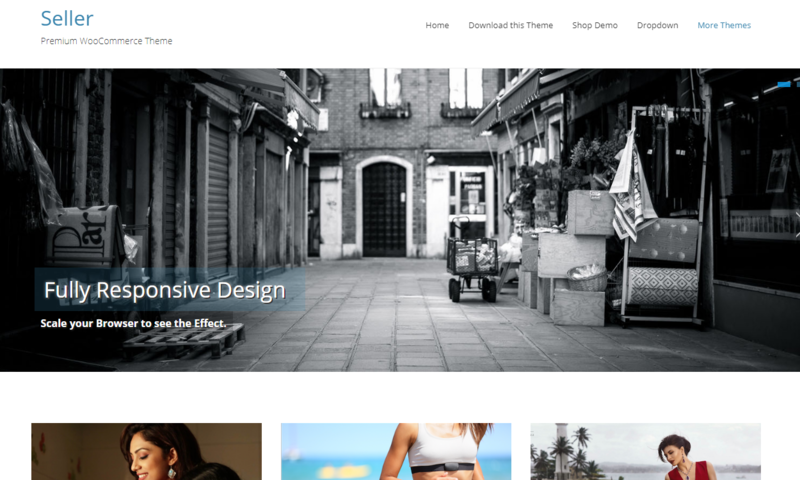 There are plenty of themes for portfolio, business, photography, and blog websites along with WooCommerce themes. The above listed WordPress themes are especially created for the eCommerce website with the deeper WooCommerce plugin integration along with its extensions. All of them are powerful and comprise plenty of awesome features that help you create a complete eCommerce website. If you found any of the themes interesting, download and start building your online shop right away! Hey Buddy!, I found this information for you: "17+ Responsive Free eCommerce WordPress Themes for 2019". Here is the website link: https://wpallclub.com/free-ecommerce-wordpress-themes/. Thank you.